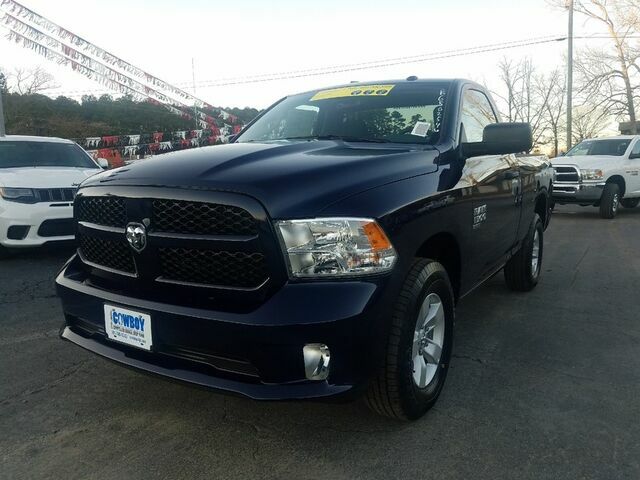 This outstanding example of a 2019 Ram 1500 Classic Express is offered by Cowboy Chrysler Dodge Jeep Ram. When Ram created this vehicle with 4 wheel drive, they immediately enhanced the performance ability. Easily switch between two and four wheel drive to take advantage of the improved steering and superior acceleration. The look is unmistakably Ram, the smooth contours and cutting-edge technology of this Ram 1500 Classic Express will definitely turn heads. The Ram 1500 Classic Express will provide you with everything you have always wanted in a car -- Quality, Reliability, and Character. There is no reason why you shouldn't buy this Ram 1500 Classic Express. It is incomparable for the price and quality.